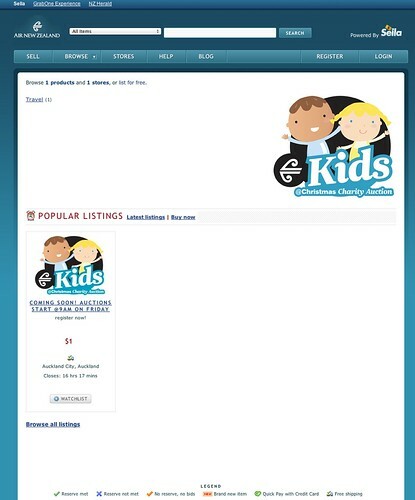 Once again Air New Zealand has not partnered with Trade Me for their annual charity auction. As I’ve said before this myopic decision decreases the amount of publicity, revenue and mojo Air NZ receives from the event. Auctions will sell for less, less people will se them and the brand association with Sella cheapens the Air New Zealand’s experience. In airline terms this is the equivalent of Trade Me choosing Jet*Star for all of their corporate travel, or the New Zealand Government making Qantas their preferred airline. It feels like some horrible politics inside Air New Zealand gets in the way of the right decision. Perhaps someone has a bee in their bonnet about Trade Me, and are making poor decisions. Whatever the reason the custodians of the Air New Zealand customer experience should take note. Who deserves $1000 from Flowerpower? Both trademe and sella are ozzie owned, so not really the same as the NZ gov choosing qantas over airnz. The NZ gov organisations do often chose overseas companies over NZ ones. eg I recall the NZ army chose an Ozzie owned apparel company and ditched the NZ one. Sella is the second largest auction website and are owned by the competing newspaper company, and perhaps they are supporting the underdog, or they are being offered a sweater deal. I think it is good for sella and it’s exposure, and it gives trademe some competition, which is good for users of the services. It’s also a bit like someone choosing Flower Power instead of an incumbent. I can imagine Sella (who are smaller and hungrier) offering Air NZ a better deal than Trade Me did. Flowerpower is a commodity – we sell the same power that Meridian or Contact does, but hopefully for less per kWh. *Trade Me’s Mod confirmed that they also waive success fees for auctions like this. Sella could possibly be donating something to the cause for the exposure. I would prefer sella to be stronger competition, as competition in the online auction market helps consumers with lower fees. It’s not so good if you are mum and dad investor investing in trademe. What do UB’s stand for in the graph? It does show that the number 2 has grown proportionally more this year than number 1, compared to the previous year. The results speak for themselves, the auctions fetch good prices, and there is enough publicity to motivate users to seek out a new site. Trademe’s offering is looking more tired and overpriced every week so it’s good to see the competition doing well. I hosted the Air NZ charity auction on Zillion back in 2006. The same argument could have been leveled against us – and I’m not sure it’s entirely fair. For these big events, it’s easy to attract enough bidders to achieve the fair market price. You don’t actually need to be as big as Trade Me to achieve this. The quality of what’s being auctioned is sufficient for people to tell their friends, sign up and bid – people will come. Plus, Air NZ themselves throw their marketing muscle behind it…so you don’t need Trade Me’s natural traffic (which is undeniably greater than Sella, especially if you’re selling some regular stuff lying around your house). As for cheapening the brand. I’m actually really proud of what we achieved for Air NZ (if you want a blast from the past – here is the mock-up we presented to Air NZ that won us the contract http://cl.ly/1S372z1i333q2g351S0m). We did the brand proud – and in fact, you could argue that auctioning your stuff on Trade Me (NZ’s biggest garage sale) does plenty for cheapening your brand. If I were Air NZ (let’s face it – they are slick, and possibly NZ’s biggest e-commerce site in sales value) I’d be building my own bespoke auction platform and running it myself. They have the members, they have the traffic, they have the expertise and they have the auctions. Why not? 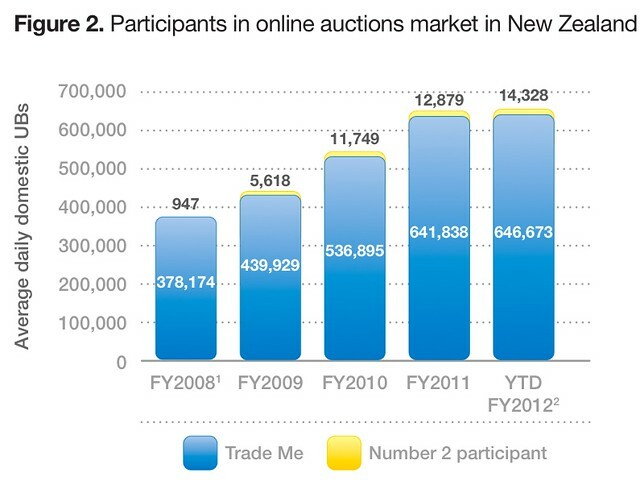 The other thing I would like to say – is that while Trade Me’s dominance of NZ online auctions is undeniable, the world is actually moving on. The glory days are over. Trade Me is no longer the only e-commerce shop in town. If you fast-forward to the year 2020, Trade Me is actually going to have to start innovating if they want to retain their leadership in e-commerce. I have seen very little in the way of innovation come out of Trade Me for quite some time. They might still be the best place to buy a second hand heater, but it’s arrogant to assume that Trade Me should be the default and only option for companies like Air NZ to run a charity auction. New Zealanders now have strong relationships (i.e. trust plus a billing relationship) with multiple major players and companies like Air NZ and others have options. Also – I’ll throw a wildcard in here. Social networks like Facebook have to a degree reduced the competitive advantage that sites like Trade Me and eBay enjoy through network effects. Back in 2005 when we launched Zillion, it was impossible to build trust quickly between traders (i.e. feedback etc). These days, with Facebook…it would be possible to show I was a real person with a real laptop to sell quite easily, before I’d even made my first trade. 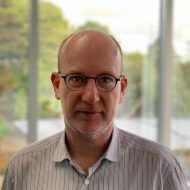 In summary – don’t take Trade Me’s natural leadership position for granted! It’s a great site but other people are working hard and delivering results. The next 10 years will be interesting.